Excel Leadership Solutions - Global Expertise. Personal Focus. Exceptional Results. Excel Leadership Solutions is a global management consulting firm that works collaboratively with business leaders to raise the potential in their organizations and deliver critical business priorities. We approach each project with both global & local perspectives. Our highly experienced professionals and advisors leverage deep industry knowledge and practical experience to solve complex business problems. Our fresh perspective and creative thinking deliver results across industries. Succeeding requires agility and a radically different way of thinking about strategy and execution. We deliver tailored results that drive significant, sustainable business performance improvements, without disruption. Excel Leadership Solutions delivers results. We work with business leaders at the local and global level to co-create and implement solutions that achieve lasting, sustainable results. — Ward Klein, CEO, Energizer Holdings, Inc. 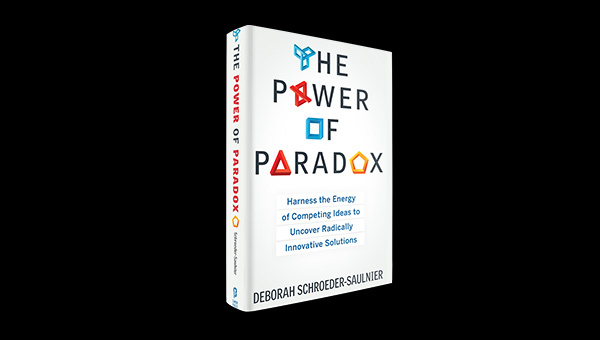 EXCITING NEWS: The Power of Paradox Book Now Available! Don’t wait! Get your copy now and take the journey through a dynamic, critical-thinking process to help leaders and businesses unlock innovative solutions to entrenched business problems. Real Leaders inspire vision, engage teamwork, and enable action – then go on to change the world. 1How do you focus the organization in an increasingly competitive environment? How does leadership identify and clarify key business strategy? How do you communicate a focused vision throughout the organization? 2How do you align actions at all levels? How do organizations plan for transition, develop action plans, and allocate resources? How do you ensure leadership sets measurable, achievable targets and is accountable for business results? 3How do you engage people at every level to share the vision and perform the actions required to deliver results? How do you engage customers and empower teams? How do organizations engage leaders to retain talent? 4How do you integrate strategy, process, technology and people to deliver exceptional customer service and achieve business targets? How do successful companies sustain excellence? How do you create a winning team? Here’s to the beginning of a fantastic Holiday Season! !